Three years after it last released a smartphone and just over a year after Windows 10 Mobile was confirmed as dead, Microsoft has now announced that it’ll be ending all support for the platform by December 10th, 2019. After this date, users will still be able to access device backups for settings and certain apps. However, support for these features will be scrapped just three months later on March 10th, 2020. Some services including photo uploads from an existing device, on the other hand, may continue to work for up to 12 months. As a direct result of this, the world’s second most valuable company is now actively encouraging Windows 10 Mobile users to switch to “a supported Android or iOS device.” This move is no surprise considering Microsoft’s recent focus on the competing mobile platforms which has seen it launch a whole range of optimized apps and even a dedicated launcher for Android users. Eventually, the latter platform will also support mirroring with Windows 10 computers. While on the topic of embracing competing platforms, it’s worth noting that today’s news comes shortly after Microsoft’s CEO envisioned the future of Cortana. After years of pushing the virtual assistant through Windows 10 and as a separate app on Android, the company now envisions Cortana as an integrated skill for Amazon Alexa or Google Assistant, something that should improve the compatibility of these virtual assistants with Windows 10. Microsoft had an os for smartphones? I waited for years and no working voice recording app that can run in background. Even Microsoft couldn't make one. Camera app, even on the Lumia 640 and 640XL, was pure trash too. Post processing screws up everything. The viewfinder image looked way nicer than the final image. I would put the blame on more than the app store. And I agree, the OS felt nice. It was different. Lol. It was pretty good for its day and only suffered from a lack of "Official" popular apps Like Google maps, Google Books, YouTube etc.. that Google refuse to give to a competing platform. Also a lot of other popular Banking apps and such also did not support it as far as I can remember. But none the less it was a good alternative to the other two players. Are you living under a rock? Windows Mobile exist longer than Android and iOS! Dude some people have lives, they don’t eat, breathe, sleep mobile phones like you do. How dare you make that accusation!! Where had you been? The only problem she had is App store is only limited good apps and she kind charge for everything while ios and android apps come for free. And Lately Apple kind going to that direction increase price and charge for thing something it use be free. Lazy is not doing your homework and doing a modicum of research. I’ll just leave it there. Windows Mobile is primarily dead because Microsoft stuck with the live tiles, but other aspects of the OS were a mess too. Windows 8 proved that people didn't like change from the known, Windows Phone and later Mobile again proved people didn't like the UI either. People wanted what they knew, not something different. I agree with you, Andriod is much like the old Windows Mobile. Old Windows Mobile lagged because of the limitation of processors at that time. How I wish Microsoft just continued the old Windows Mobile, it is one of the most versatile operating systems. I was a user of an Xperia X1i, which came with Windows Mobile 6.2 and I loved it. I later installed Windows Mobile 6.5 on it and that was just laggy crap but it looked great. Windows Phone was a complete departure of what people loved about it. There is so many mistakes that Microsoft did. First of which they had their original mentality of charging for their OS's. Especially when Android was around. Android OS was free and open source. Microsoft was initially charging $50 per mobile device to install Microsoft's new Windows Phone 7. Then it quickly went down to $25 per device. People also felt like Microsoft's guinea pigs, especially with WP7. Then not even 6 months after the launch of their Lumia 900, it was not going to get an upgrade to Windows Phone 8. Customers were paying the price of Microsoft's mistakes with their wallets. Microsoft even dropped the price again for OEMs to $12, and then again to $7. At this point every OEM that signed up with Microsoft to make WP devices were not going to make any WP devices. They were afraid of investing their money to build and sell WP devices, and not getting any return on their investment. 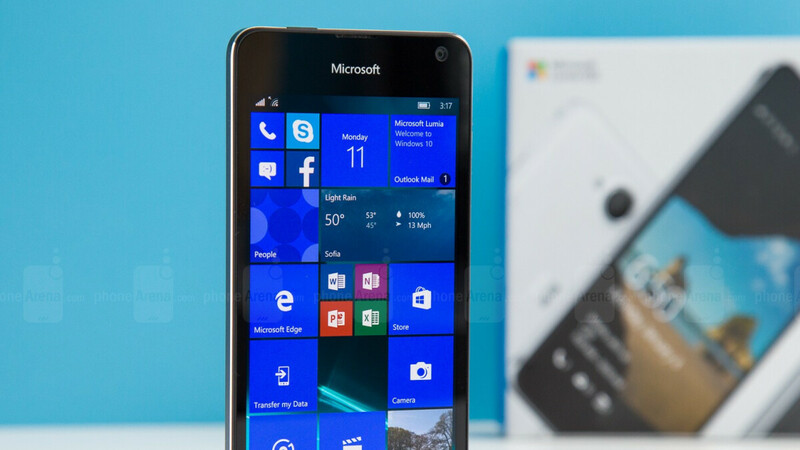 Microsoft started sueing all the OEMs that made Android smartphones. Microsoft said to the OEMs, we won't go after you if you make WP devices for us. To sum it up it was cheaper and more lucrative for the OEMs to continue to make and manufacture Android smartphones, and instead pay Microsoft some royalties instead of making WP devices, especially when WP devices were barely selling. Hardly anybody wanted them at this point. It didn't help that Microsoft's apps store was almost Barron. At this point Microsoft was making more money on royalties from all the Android devices being sold than Microsoft's own smartphone endeavors. The writing was on the wall at that point, especially when big named apps were dropping their app support from Microsoft's app store. That was a few years ago. The final nail on the coffin is finally hit by Microsoft swinging their own hammer. I encourage you not to be so obvious biasoid. It all starts from Microsoft; it's Nadella who is most biased for iOS. It was my preferred OS to be honest. I remember I had the Note 2 and as soon as I got my unlocked 1520 I sold the Note. I had the Dell Venue Pro and the HD7 before that. Windows mobile flopped almost entirely based on the app store, same with BlackBerry 10. I worked at Verizon when both BlackBerry 10 and Windows 8 launched, both platforms had their strengths compared to iOS or Android but had horrible app support. Back in 2012 iOS still had the app advantage against Android for quality apps and 3rd party accessories that relied on an app. Almost no one under 30 bought a Windows phone because it didn't have all of the social media apps their friends were using on iOS and Android. Some showed legitimate interest until they found out snapchat wasn't available for example. We are stuck with an Android/iOS duopoly unless someone is willing to pay developers large amounts of money to port their apps to something new. If the legendary Surface phone ever becomes reality it will flop. If Samsung tried to ditch Android for Tizen they would flop. Well, this has been inevitable since WP launched. MS underestimated the iPhone, and let both Apple and Google come in and take over. Thats Palm, Blackberry and now Win Mo/WP/Win Mo. Looking back on all the posts on here saying its going to take over...lol. God speed Win Mo, you tried. MS was right there with the HTC HD2...right there and just missed the boat. MS getting rid of the Nokia name for branding hurt IMO. That name alone got them sales. Many of us said at the time that was a bad idea. Excuse my ignorance, but what’s gonna happen to surface tablets - don’t they run MS mobile partially as well? Surface runs desktop Windows 10, it ain't going nowhere. Microsoft was long time dead in mobile business. The moment they buried apple, is the biggest mistake, same what will happen to Samsung as android share mostly coming from mid- to low- tier chinese phones. You and midan are the same person, aren’t you?